I’ve been a bit quiet lately as I have had lots going on. Firsly I went to Brisbane for On Stage Local. It’s an event for Demonstrators to get to see the new catalogue before it is released to our customers. 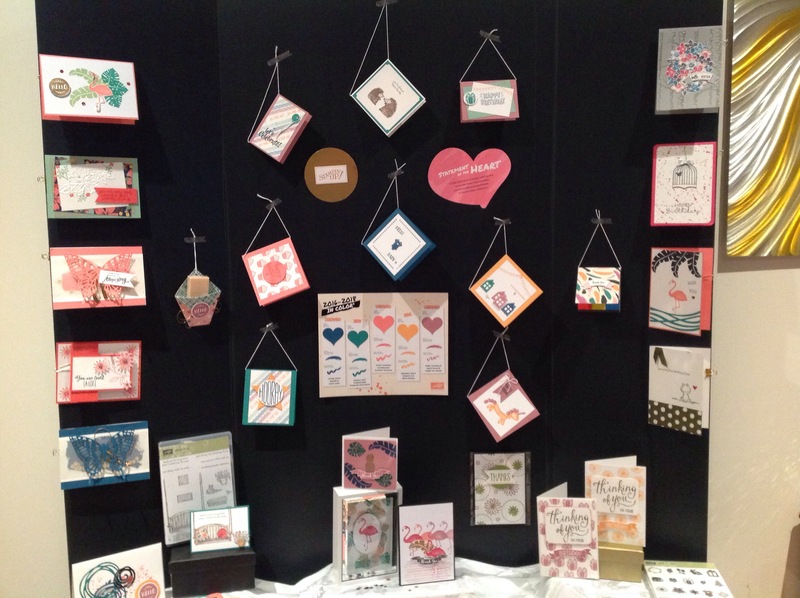 We get to play with some of the new products and do card swaps with our fellow Demonstrators. It’s so much fun. This is me with some of the ladies in our team. 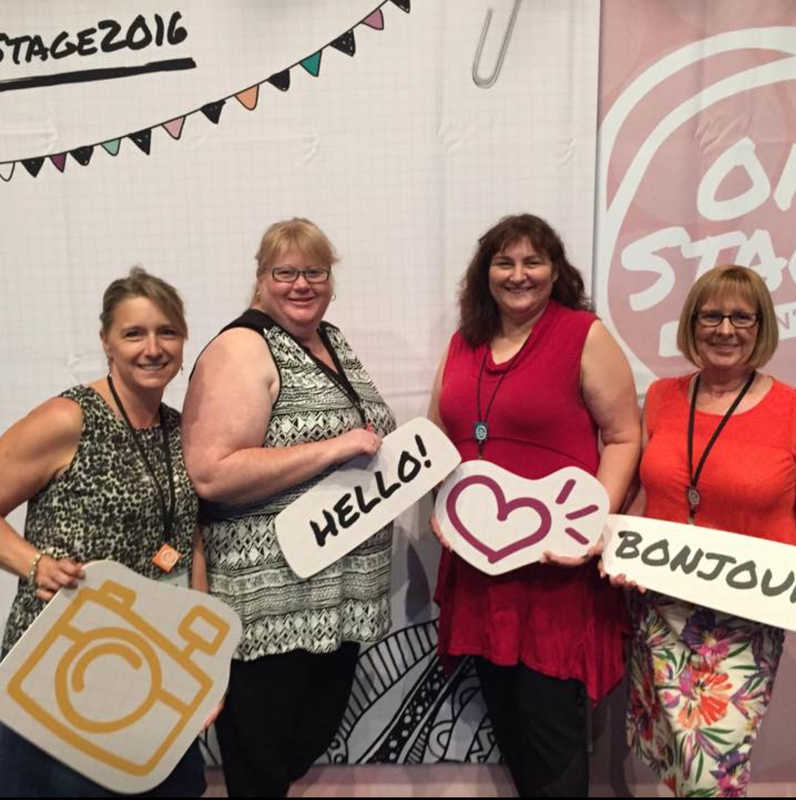 I’ve met some lovely ladies since joining Stampin’ Up as well as making some great friends. 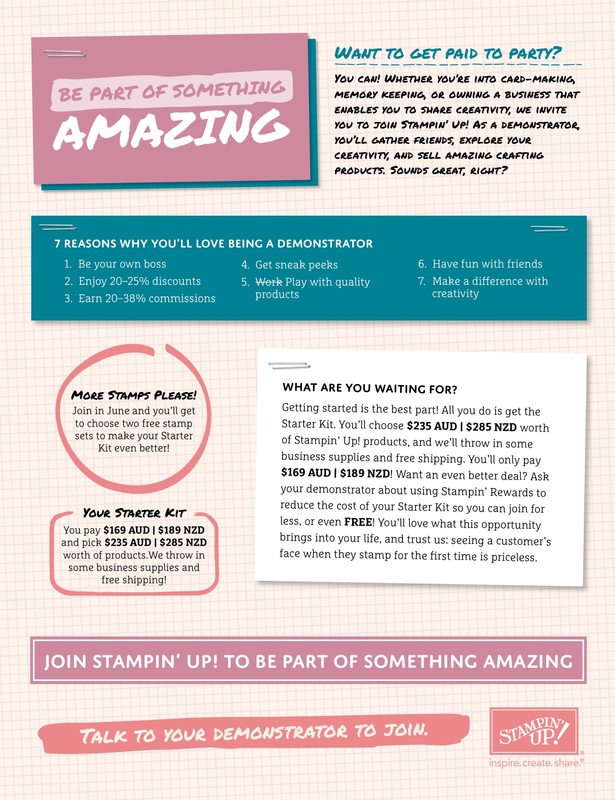 If you’ve been Been thinking of joinIng Stamin’ Up there is a great promotion at the moment. Take a look at the photo below. I’m happy to answer any of your questions and would love you to be part of my team. I held my New Catalogue Launch Party and we had so much fun. Everyone who came got their New Catalogue and had a chance to chat and have a cuppa and cake. 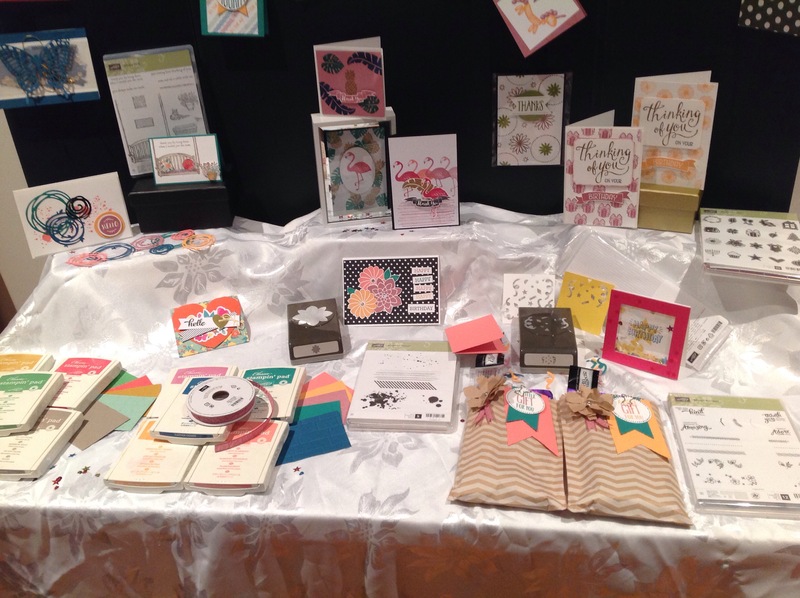 We played a couple of fun games and 2 lucky ladies got a free Stampin’ Up prize. They also got to play with some new items from the new catalogue and do a make and take using the new 2016-2018 In Colours. 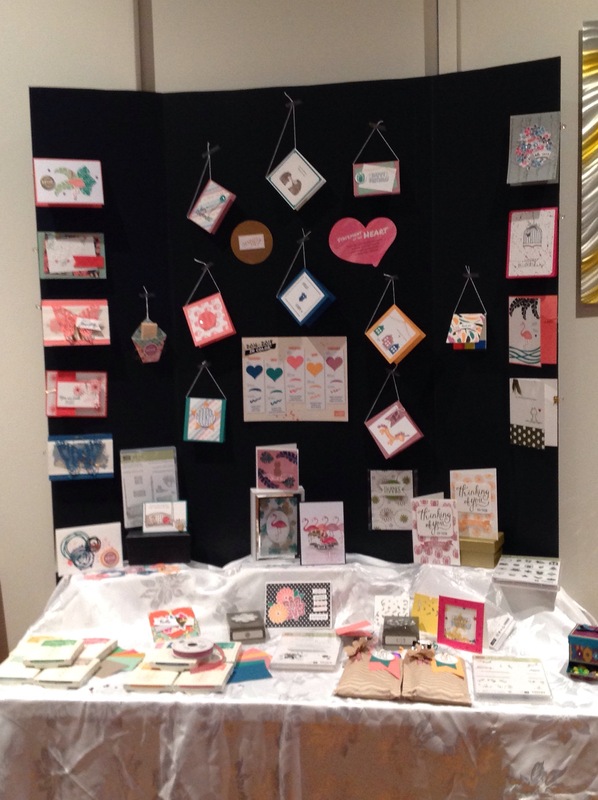 I had made a display board which gave the attendees Some great ideas. I’m now busy planning my classes which will be held in the coming months. My first class will be this coming Sunday 19th June 1-3pm. 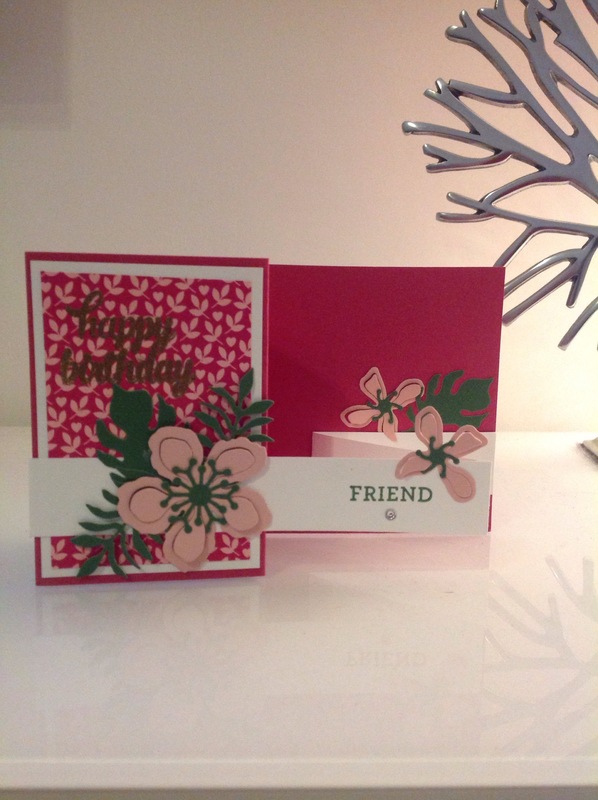 We will be making 3 cards in this style. 1 Female, 1 Male and 1 children’s card. the female card is in the photo below. Please check my Classes page for all the class dates and further details. Hope you can make one or even two of them and maybe bring along a friend or two. Contact me For more details and to book. Limited places so be sure to book your spot.